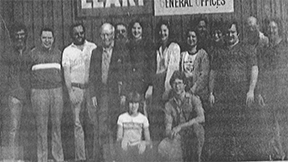 The Leary Construction Company is a third generation family-owned business founded by Charles J. (C.J.) Leary more than 75 years ago in 1939 after he graduated from Butler University. 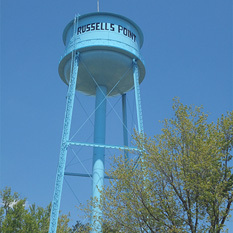 The company became incorporated in 1946. 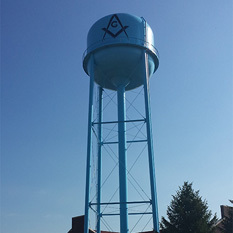 Diligence and professionalism in maintaining and painting elevated water towers and ground storage tanks has been passed down from father to son for three generations. 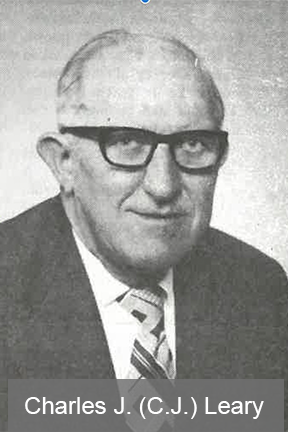 C.J.’s son, Charles D. (Dan) Leary, effectively ran the company for 30 years. 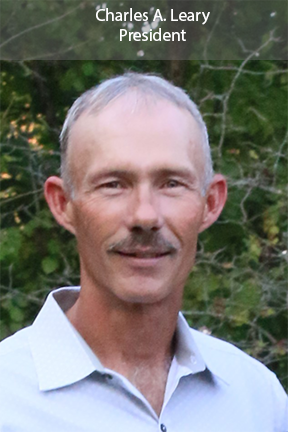 Now and over the past 15 years, Charles A. Leary has been successfully managing the company with the same mission his grandfather developed. Jobsite safety for our client, our crew and the general public. Quality workmanship and timely completion of every project. 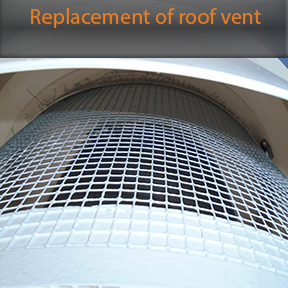 Cost effective inspection, repair, painting and maintenance services. 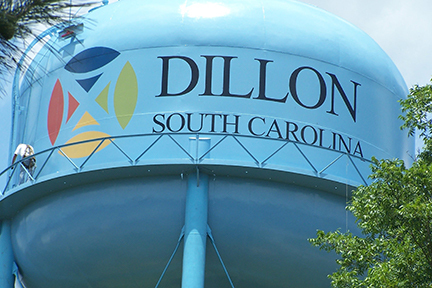 Long-lasting relationships with utilities, cities, towns and other clients throughout the Midwest, Eastern, & Southern United States. 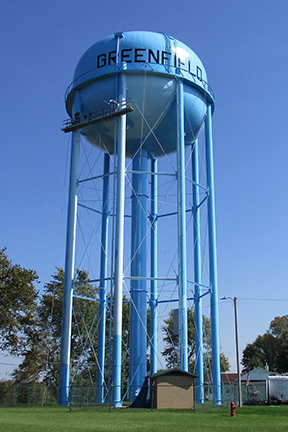 The Leary Construction Company, Inc., has competent inspectors (NACE Trained), skilled painters, experienced welders, modern tools and equipment, and complete insurance coverage to perform any type of maintenance necessary to keep your tank in excellent condition for the long-term. 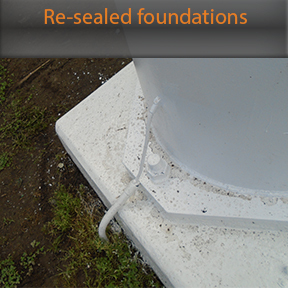 We recommend yearly inspections, biennial washouts and periodic repainting inside and out to ensure effective corrosion protection. 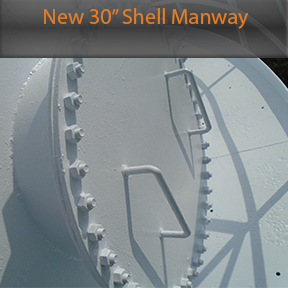 We offer a multi-year maintenance program to maintain and protect your tank against corrosion for 10 years at a fixed yearly cost with the Leary Preventive Protection Program. Contact us to request one of our representatives to inspect your tank to help you with any maintenance problems you may encounter. This service places you under no obligation to The Leary Construction Company. 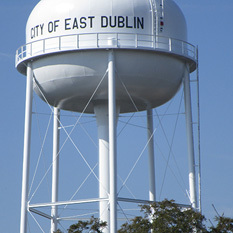 We look forward to taking care of your water tank maintenance needs! Our 10-Year Leary Preventative Protection Program has you covered! 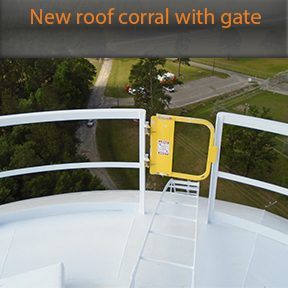 Leary Construction will inspect the interior and exterior of your elevated or ground storage tank(s) annually and provide inspection reports with photographs for your records. 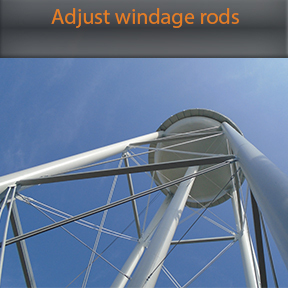 Biennial washouts are included to ensure structural, coating, sanitary, and security conditions meet or exceed AWWA and OSHA standards. 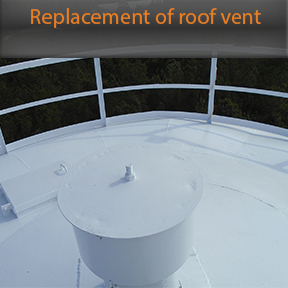 For a set annual fee, any repairs to the tank and tower that are needed during the term of the contract are covered. 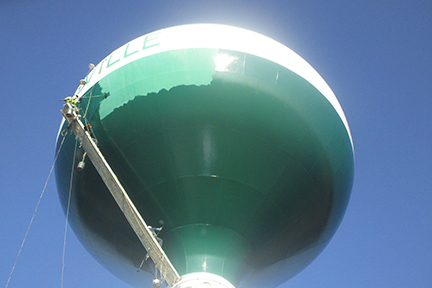 When repainting is needed, surface preparation, the coating system and sterilization shall be in compliance with SSPC and AWWA standards. 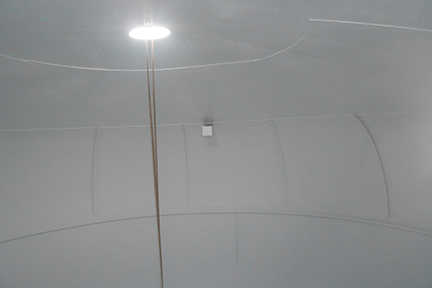 When complete interior painting is necessary, your tank(s) will be recoated with the existing coating system. 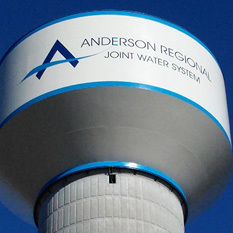 Alternatively, if a new coating system is developed through technological improvements and is approved by AWWA, the new system can be applied. 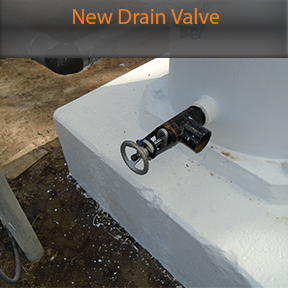 On-call services are included to remedy leaks or other time-critical problems at no additional cost to the client. 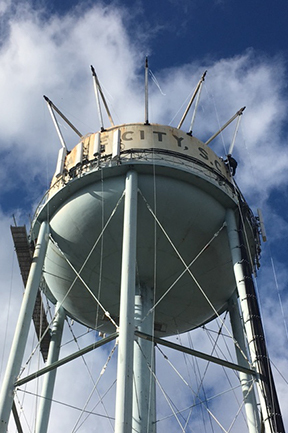 Leary Construction has experience applying countless effective coating systems. 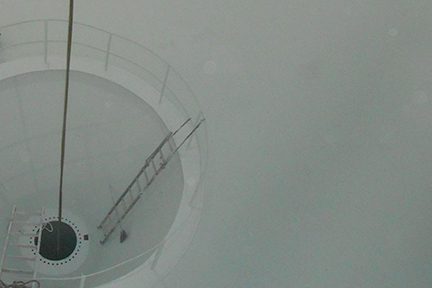 Contact us for our recommendation on what coating system is right for your tank! 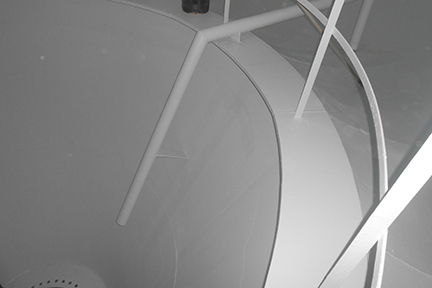 A 2-coat hi-build epoxy liner with a total dry film thickness of 8 to 12 mils to protect your tank for 10 to 20 years. 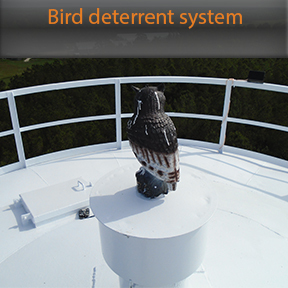 A 3-coat zinc/epoxy system with a total dry film thickness of 10 to 12 mils to protect your tank for 10 to 20 years. 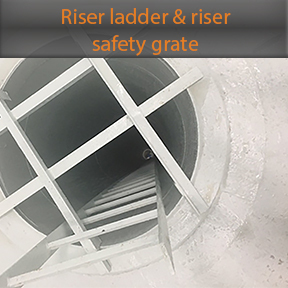 Our qualified team returns following a typical 7-10 day cure time to close up the tank and chlorinate before returning your tank to service. All our interior coatings conform to NSF Standard #61. Spot coat of metal primer paint to any bare metal followed by one coat of exterior aluminum or industrial enamel paint to protect your tank for 5 to 6 years. 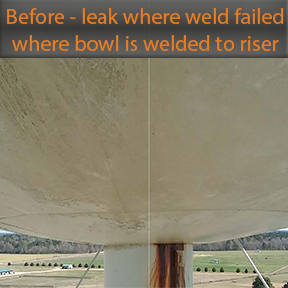 Spot coat of metal primer paint to any bare metal followed by one coat of epoxy and one coat of polyurethane to protect your tank for 6 to 10 years. 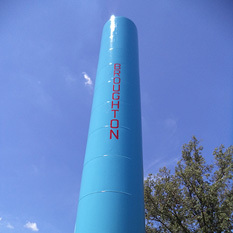 A 3-coat epoxy urethane system to protect your tank for 10 to 14 years. 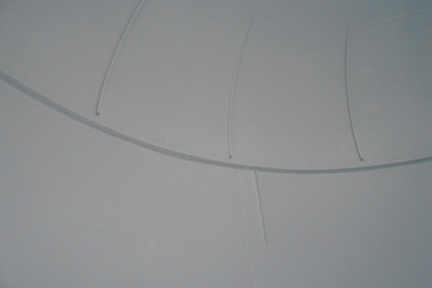 A Zinc / Acrylic Polyurethane / Fluoropolymer Polyurethane system to protect your tank for 20 years. 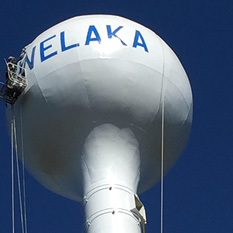 We have decades of experience painting tank exteriors including painting town names and emblems, school mascots and other custom logos to meet your needs! Let Our Experience Keep Your Tank in Good Shape for Years to Come! 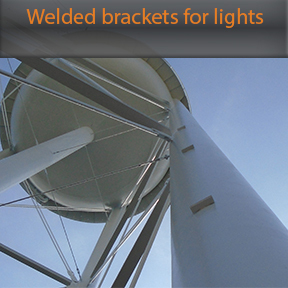 Address areas of wear, corrosion, and/or damage. Replace Existing Manway with a Larger Manway for Better Accessibility. 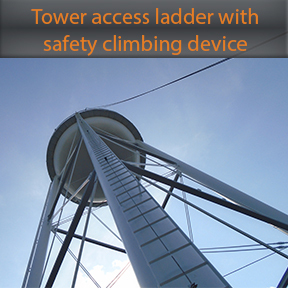 Install a Compliant Tower Access Ladder with Ladder Safety Device. 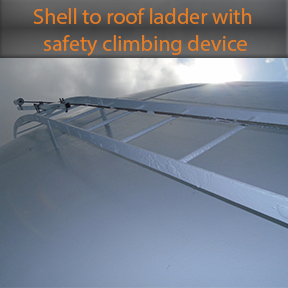 Install a Compliant Shell to Roof Ladder with Ladder Safety Device. 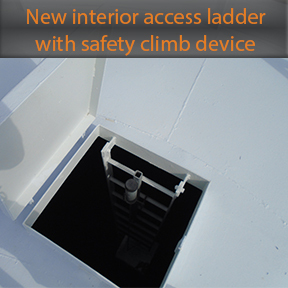 Replace Interior Access Ladder with Safety Climbing Device. 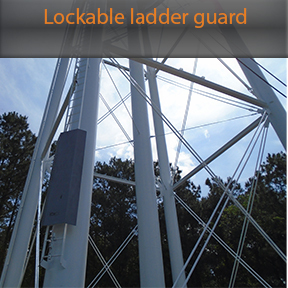 Add a Lockable Ladder Vandal Guard. 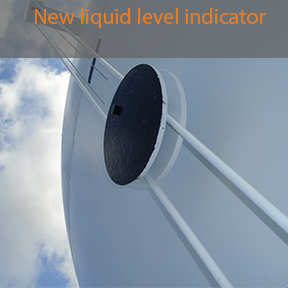 Install a New Liquid Level Indicator Complete with Target Board & Float. 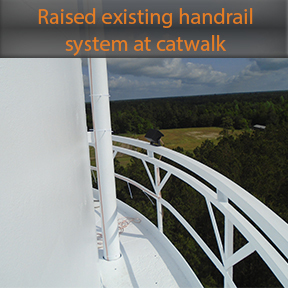 Raise an Existing Handrail System to the Required Height of 42″ for Compliance. 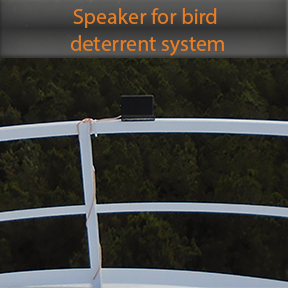 Install Bird Deterrent System on Roof of Tank with Speaker System. 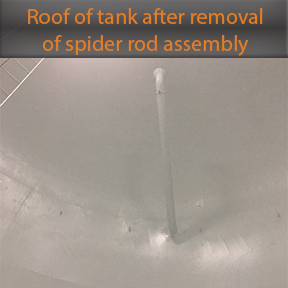 Remove Spider Rod Assembly from Tank. Install Aviation Light and Brackets for Lighting. 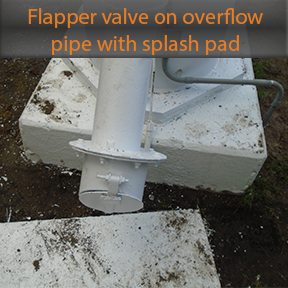 Install New Screen or Flapper Valve and Splash Pad for Overflow Pipe. 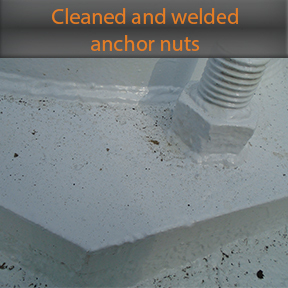 Clean and Weld Anchor Nuts. 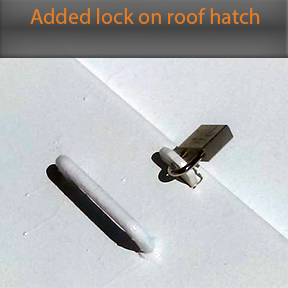 Add Lock on Manway or Ladder Guard with Keys to Client. 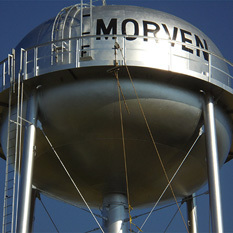 Our Team of Experienced Welders & Tank Specialists Have You Fully Covered for All Your Tank Maintenance & Repair Needs! 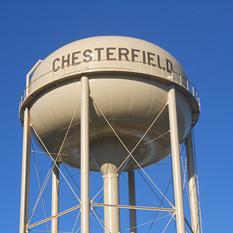 Call us for a complete inspection to determine the condition of your water tank and to help prevent costly repairs and to protect your investment. 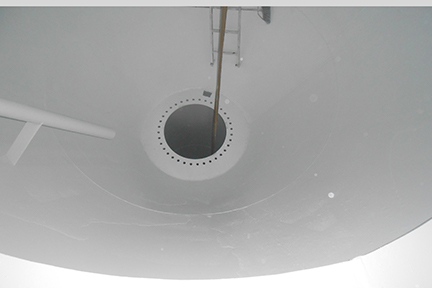 We also provide interior washout services that includes draining the tank, pressure washing, removal of any accumulation of mud, and refilling the tank. 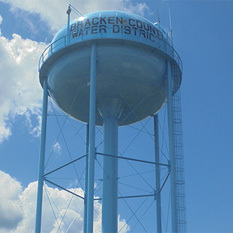 the existing coatings on your tank are found to contain lead. 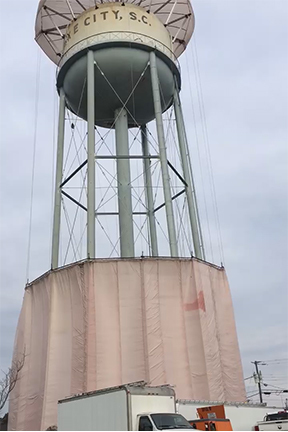 When specified, our team will ensure a custom containment system design that encases your tank prior to sandblasting without the need for scaffolding. 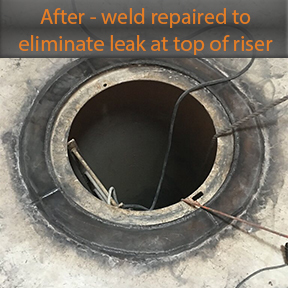 Our welders attach outrigging poles to the roof of your tank and with a system of pulleys and aircraft cables, an air tugger is utilized to pull side tarps up to a “roof bonnet” tarp to encapsulate your tank. Please contact one of our representatives to determine whether containment is recommended for your upcoming tank rehabilitation project. 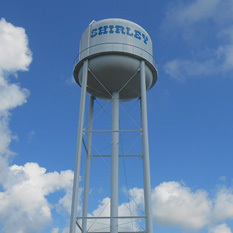 Please contact one of our representatives to learn more about temporary potable water solutions. 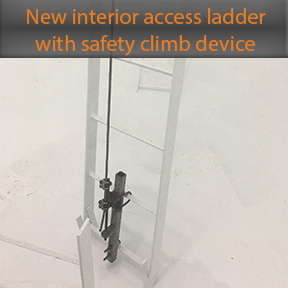 The Leary Construction Co., Inc. offers several products to meets OSHA rules and regulations for safety, including our Safety Climbing Device and the Leary Ladder Guard to keep unauthorized people off your ladders. 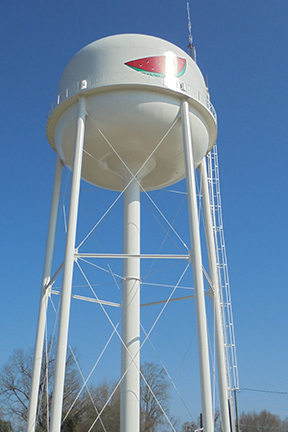 The Leary Construction Co., Inc. offers various Sandblasting Services for your Water Tanks as needed. 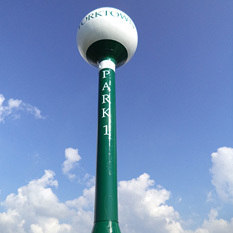 The Leary Construction Co., Inc. installs Obstruction Lighting Systems as well as replacing bulbs and lenses as needed. Use the system the professionals use! Eliminate property damage and safety hazards due to ice and/or water falling from a stub overflow pipe. 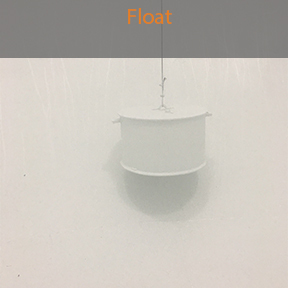 The Leary Overflow System consists of a standard four inch steel tubing welded and secured to your tank from the high water level to the ground which can be adapted to fit your present stub overflow or positioned at a different side of your tank as desired. 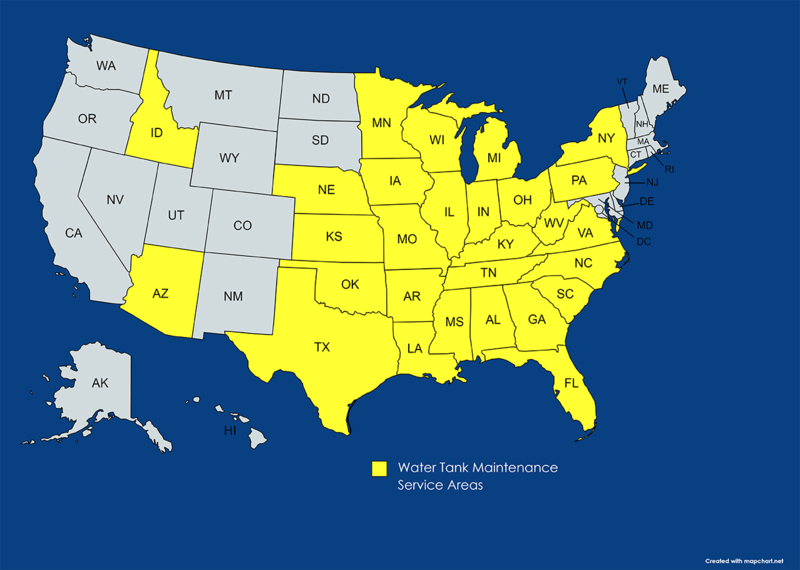 For more than 70 years, our tank specialists have been maintaining water tanks throughout the service areas indicated below. 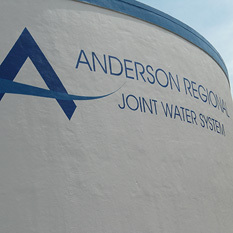 Contact us to develop the best possible program to care for your water tank. 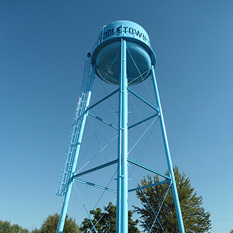 We are always looking for good PAINTERS, SANDBLASTERS, & WELDERS with water tower or industrial steel painting experience. 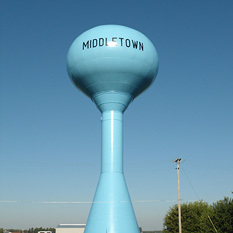 Our projects are located throughout the Midwest and Southeast. Pre-employment drug screen and background check will be conducted. 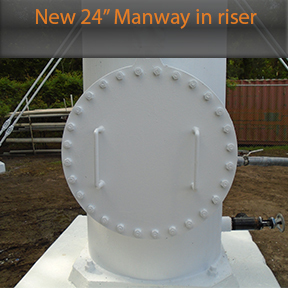 Must be able to work at height levels up to 250 feet. Starting wage is $15/hour. Hourly wage varies based on experience. Transportation can be provided after you are mobilized to the first jobsite. *Employees eligible on the 1st of the month following 2 months of employment. ** Employees eligible after one year of employment.